I am bringing you the latest news: The Neuromarketing Manager Program, a complete online master program with professionals from all around the world, will have a 2nd edition (September 2016 – August 2017)! I highy recommend this program to anyone who wants to get familiar with neuromarketing or wants to find ways to implement it. When it comes to successful marketing and efficient sales, one must understand what we can do for our customers. It´s not what they want or need but rather what keeps them awake at night: their real “pains”. Most of the time our customers don´t know exactly what they really want, need or wish. We have to unveil their “pains”. Real sales talents are not those who can recognize a need, but those who can create this need, evoking it with the proper means of address. Because desire beats logic. Every time. decide to make a purchase. The neuromarketing approach seeks means of predicting these psychological behavioral patterns and using them effectively in marketing. The goal is to understand how the brain actually works, and to use this understanding to derive effective business solutions, communications methods, and sales strategies. The HMS’s Neuromarketing Manager program teaches you how to apply this theoretical knowledge to directly your professional practice, and how to successfully implement neurological research findings to enhance day-to-day performance. This three-phase program is meant for those who want to gain deep insight into the increasingly important topics of the relevance of neuroscientific approaches for communications, marketing, and sales processes. The program kicks off with a 3-day workshop, in which you will become familiar with the most important tools and tricks of neuromarketing, as well as their implementation. The focal point is the true decision-making mechanism in our brains and the importance of the different structures, which are involved. Participants will learn about different functional areas of the brain and how to work with that knowledge. Some of our deep structures in our brain are involved in purchase decisions and parts of them are responsible of our instinctual behavior. Those who know how to connect with the reptilian brain can communicate effectively and with increased ease. They can provide presentations and products that are to the point, and that elicit more attention, action, and commitment. The program continues in online seminars. For eight months, we deepen and intensify the topics and approaches from the workshop in intensive video sessions. Focal points include neuromedia, neurosocial marketing, and neurobranding. Participants will learn how to redefine their businesses according to the parameters of neuromarketing, and how they can successfully use neurotools to persuade customers and increase their sales performance. Once we’ve studied, it’s time to get to work. With the help of online tutorials conducted by our professors, each participant can define and elaborate his or her own neuromarketing project. Our experts provide consultation in this process, and within a period of about six months, each specific case is developed and ultimately presented. In this phase, acquired knowledge is applied directly and transferred to the professional activities of all participants. 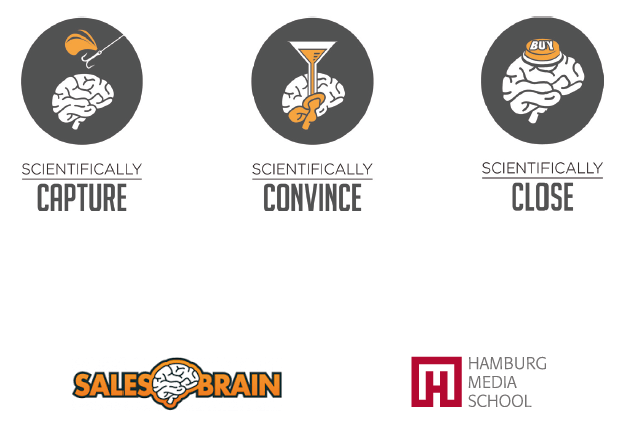 Neuromarketing Manager is realised in cooperation between the Hamburg Media School and Neuro Strategy / SalesBrain, who is a partner with years of experience and expertise in increasing sales and marketing performance using neurology-based methods and innovative sales approaches. SalesBrain is the first neuromarketing agency with a scientifically developed conceptual model (NeuroMap™) that uses targeted neurological research to more effectively analyze, persuade, and keep customers, and to motivate them to purchase more. Their experts developed the Neuromarketing Manager program, an application-oriented program that not only provides a theoretical foundation, but that also centers on the direct transfer of knowledge into practice. The NeuroMap™ is a multiple award-winning neuromarketing model that the American Marketing Association called the “next big thing in marketing”. Our program is the only English-language neuromarketing program that uses the NeuroMap™. 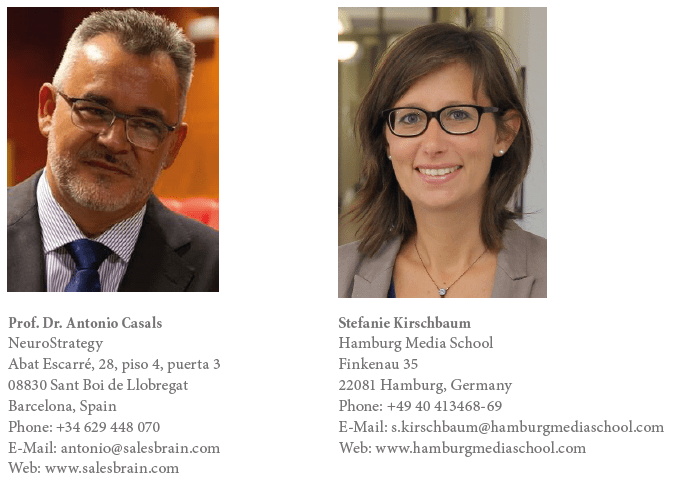 Prof. Dr. Dr. Antonio Casals is a SalesBrain partner and Program Director of Neuromarketing Manager at the Hamburg Media School. He is Local Chair of the Neuromarketing Science and Business Association (NMSBA) in Spain and was awarded with the “International Salesman of the year for Outstanding Sales Performance” EDS Award. The Hamburg Media School enjoys international renown for its federally recognized MBA programs in Media Management, Digital Journalism, and Film. It also has an excellent reputation as a provider of both research-based and practical training seminars in the fields of Online Marketing, Media Management, and Digital Journalism. 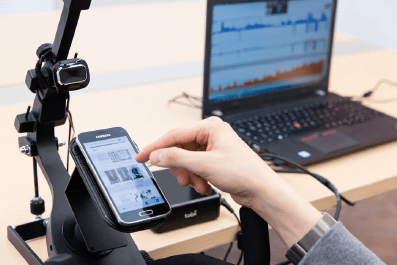 Moreover, the NeuroLab at the HMS combines the most recent neurological findings from the fields of media behavior analysis and brand and advertising research, and makes them available to their customers in joint research projects. Graduates of the full program receive a certificate of participation from the Hamburg Media School and Neuro Strategy / SalesBrain. Conditions * LIMITED EARLY BIRD TICKETS! The Workshop can be attended separately.